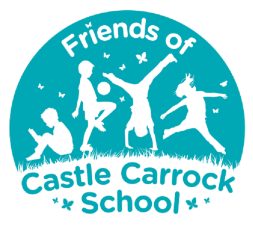 ‘Friends of Castle Carrock School’ is a group of parents, teachers and community members that come together to organise events and raise funds for the benefit of the children at our school. We meet once a term in the Duke of Cumberland pub. We plan events and discuss how to allocate the funds raised; everyone is welcome and there is no pressure to volunteer or get roped in. ***STOP PRESS**** we have created a link with the popular Give as You Live! Help Friends of Castle Carrock School. Just by shopping online. Shop with your favourite stores and a donation will be made to Friends of Castle Carrock School without costing you a penny extra. Shop at thousands of leading stores like Amazon, Ebay, Expedia and John Lewis. Get started raising money for Castle Carrock School Parent Teacher Association today. This year we are raising funds to continue our support of the whole school pantomime trips and Christmas Gifts. We are also providing first aid training for all pupils and an opportunity for Parents to receive first aid training. We appreciate that, as parents, you support the Friends fundraising by attending the events we hold, so thank you! If you think you might like to be more involved, have ideas for fundraising and spending we would love to hear from you. Please get in touch by email: friends@castlecarrock.cumbria.sch.uk. As well as the school Twitter page, we are also on Facebook to keep you updated of meetings and events.